The server is responsible for ensuring patrons have an enjoyable dining experience by providing quality customer service. The server will rotate sections between The Firewater Tavern, Links & Lanes and will be responsible for taking food/drink orders and removing dinnerware from the table in a timely manner. This position may work corporate or private events at times. Must have the ability to establish and maintain interpersonal relationships with our guests. Opening & Closing sidework each shift. Must be a team player and help whenever necessary such as answering the phone, helping seat guests, refilling / pre-bussing other servers tables. Must be able to stand for 6-8 hours at a time. Must be able to maintain composure during stressful times and be able to take criticism. Must be able to multi-task and prioritize during busy times. High School Diploma required or GED equivalent. 1-2 years experience working in the food & beverage and / or hospitality industry. Must be able to work a flexible schedule including days, nights, weekends and holidays. Experience working with POS systems. Experience working events a plus. Donald MacLaren Sr. has been a life-long bowler and always had an interest in bringing an entertainment venture to his hometown of Tewksbury with his son. 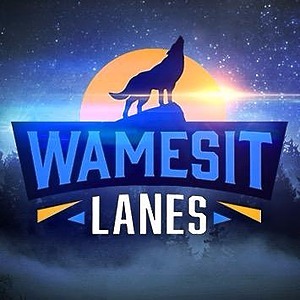 On February 10, 2014, that idea was born to what is now Wamesit Lanes. The original site of the Motel Caswell where Wamesit Lanes sits, gave the opportunity to thrive in a premiere location. With the help of local contractors, we are proud to say, “we were built by Tewksbury, For Tewksbury”. On November 9, 2015, we celebrated our Grand Opening. The Wamesit Lanes Family Entertainment Center is a fun, positive, family-friendly destination. We are the first and only luxury candlepin and tenpin center in the world. We offer high quality year-round entertainment for thousands of area residents of all ages.